Over the past several months government agencies and business leaders have begun an intense and very public debate about how to prevent another financial meltdown, and another bailout, now that the global economy seems to be headed for recovery. The big issue concerning governments and regulators is that unless real change is implemented in how banks conduct their business and how they are regulated, the world could easily find itself in the same situation as before; the combination of excessive risk taking and lax regulation leading to another global financial crisis. In addition, another insightful comment comes from Paul Moore, former head of risk for HBOS, now part of Lloyds TSB. Paul Moore got fired for his comments at the time; a testament to the openness of the previous banking culture to criticism about its internal culture and ways of working. We strongly believe that reshaping corporate culture, in conjunction with prudent regulatory changes can work together to help build a stronger, more responsive and responsible banking industry. 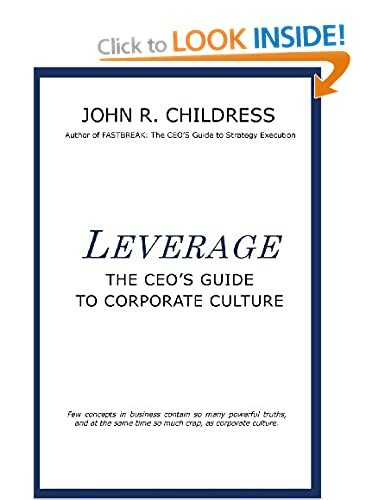 One of the challenges in this approach is that the importance and business impact of corporate culture is not well understood. Too many refer to culture as the “soft stuff” with little relevance to the analytical business world of global finance. Article One: What is Corporate Culture and Why it Matters to the Bottom Line? Article Two: The Determinants of Corporate Culture. Article Three: Is the Culture of Banking Broken? This entire series is focused primarily on the banking industry, but has insights and application for all other industries struggling to remain relevant in a changing global landscape. For those who need a better understanding of how the financial services industry has changed from a“public service” into a “corporate pirate”, you should read the informative article by Demetrie Comnas on The Origins of the Banking Crisis. 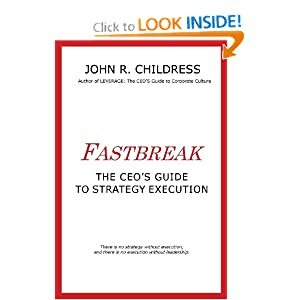 This entry was posted in consulting, corporate culture, Human Psychology, John R Childress, leadership, Organization Behavior, strategy execution and tagged bank culture, Banking Crisis, Commercial Banking, culture change, shadow of the leader, Warren Buffet. Bookmark the permalink. John, You are right on the money. Thanks for the plug. I have had no other responses to the book mailings, nor to the 40-50 people to whom I forwarded the link on the opportunity for the ebook. Groan. I am still hoping to hear from some people at BNY- Mellon, where I am hoping to get some time with the President. I will keep you posted.